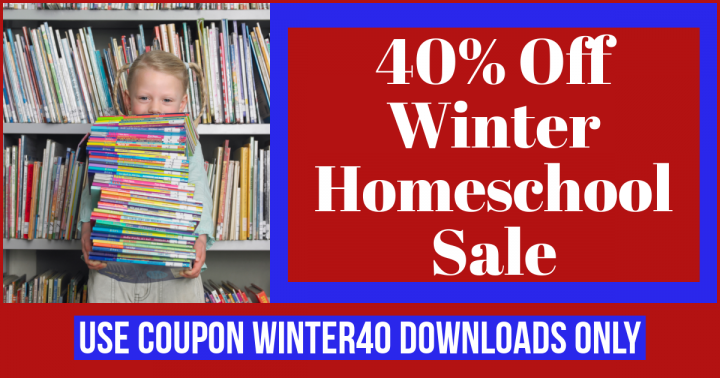 Do the homeschool winter blahs seem to be slipping into your homeschool? Is it time for a change? Has your child moved through their work at lightening speed? It is time to save on some new curriculum for next year? Did you say yes to any of those? Maybe? Then we have a sale for you!!! For three days only, you can save 40% off ALL Downloads!! Do you need help deciding what may work for your homeschool child? Join our Facebook Group where we can discuss this with each other and other families that use our products.